Welcome to Vienna, a city that is rightly considered one of the most livable cities in the world. The city is both: young and creative, charming and historic. Experience Vienna's old town with a local, state certified guide. The walking tour takes you through romantic streets, passing magnificent historic buildings to Vienna's main sights and monuments. Our free walking tour is the perfect start for your visit to Vienna. !! WATCH THE ROADWORKS !! At our meeting point you will meet our professional guide. This is the square opposite of the tourist information, where the "Monument against War & Fascism" is. You will recognize our colourful WELCOME TOUR VIENNA label. The walking tour will last 2 to 2,5 hours, you are free to pay at the end of the tour the amount you consider appropriate, respecting the price level in Vienna. 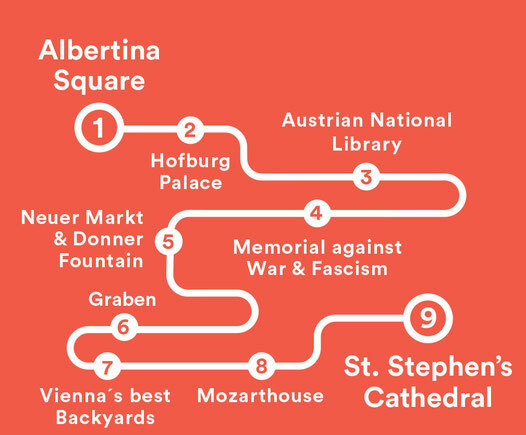 Our free walking tour "WELCOME TOUR VIENNA" is an orientation tour through the center. you will gain a perfect first impression. The tour can vary according to weather circumstances and/ or the guide 's consideration ! Fotorechte: Medienarchiv der Österreich Werbung Harald Eisenberger, Volker Preusser.